Well like the name suggests it’s a ‘hideaway’. The popular Indian hill stations can be a bit of Sarojini Nagar on a long weekend. 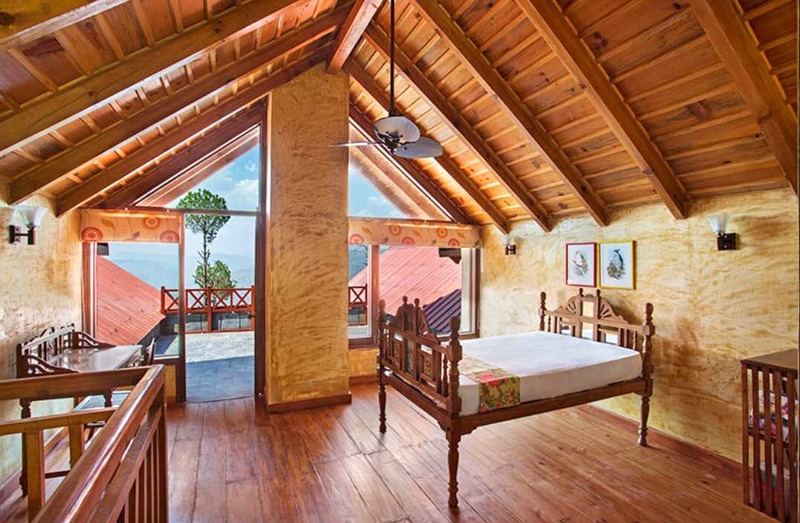 But Hideaway in the Hills is tucked away in a remote corner, at the edge of Kumaon forests, in a stunning location very close to Mukteshwar. For someone who loves the awe-inspiring and mighty Himalayas, bird songs, and hikes through the forest, this place offers all of the above and more. The panoramic expanse and glorious view from this four-bedroom private home now opened to guests is worth the distance from Delhi. The home built from locally sourced hand-crafted stone has a beautiful exterior and tastefully done up gorgeous interiors. From the well-manicured gardens and the rooms, you can look at the Himalayan peaks on a clear day. Most days you will wake up to the song of the laughing thrush. It's refined elegance in a stunning and quiet location of Kumaon with awesome staff and food. Frankly, nothing that I can think of; price is premium but then the place is absolutely worth it.